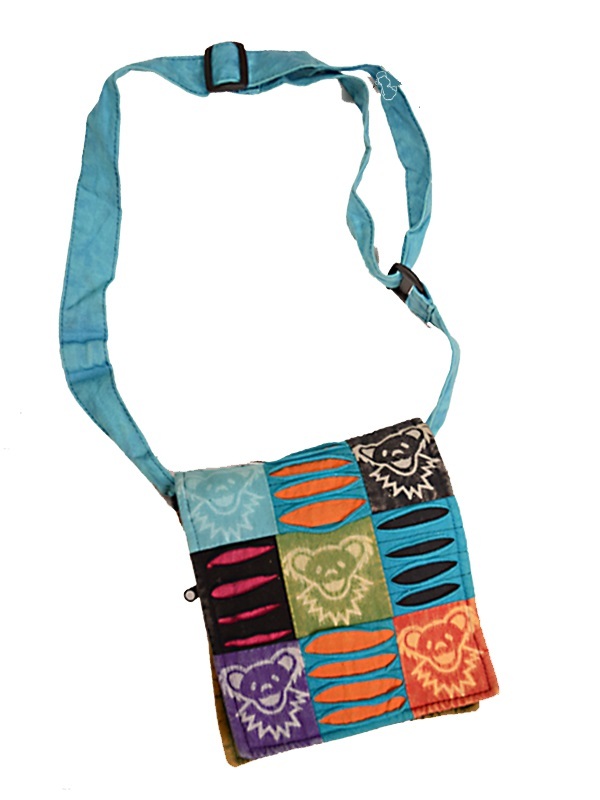 New Grateful Dead Dancing Bear Head Print Bag. Gratefully hand crafted in Spiritual Nepal from 100% natural cotton. Measures 8" x 8" square with a long adjustable strap. A classic bag style favored by hippie and bohemians alike. Officially licensed Grateful Dead merchandise.